OneNeck IT Solutions has been determined to be compliant with the EU-U.S. Privacy Shield Framework, an updated set of robust and enforceable protections for the personal data of European Union individuals. The parameters, set by the U.S. Department of Commerce in consultation with the European Commission, include requirements for the collection, use, and retention of personal data received from the EU. 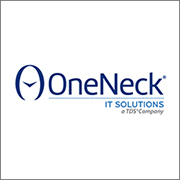 This allows Scottsdale-based OneNeck, an annual Platinum Sponsor of the Arizona Technology Council, continued access to European markets to provide cloud-computing services. The framework, formerly known as Safe Harbor, also provides transparency regarding how participating companies use personal data, involves strong U.S. government oversight, and enables increased cooperation with EU data protection authorities.